1. Growing up, she played literally everything! 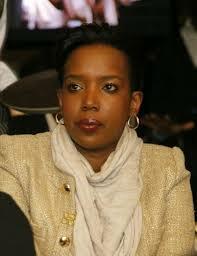 Kirigo Ng’arua grew up in Jerusalem, Harambee and South B areas of Nairobi. She is the first born in family of two children and her brother is a lawyer. Just like every other kid, Kirigo loved to play. In her primary and secondary education, Kirigo says she attended what she calls ‘normal’ schools in Nairobi. For her higher education, she enrolled for a Journalism course (Radio Production) at Tangaza College which is a constituent college of Catholic University of Eastern Africa. She is now undertaking her Master’s degree at the University of Nairobi. Kirigo says what pushes her on in life is the desire not to be mediocre. “We are not meant to live mediocre lives, we are meant to be the stars – we are meant to shine,” she told. Kirigo says she strives for perfection which is never easy to achieve. In however much Kirigo says she did not foresee herself being a celebrated anchor, she recollects seeing herself being in the media. But how did Kirigo get to TV? Kirigo’s trademark hairstyle – the mohawk has been her preferred look for the past 3 years. She says it is something which makes her stand out. Kirigo says the mohawk is just one of the many hairstyles she’s experimented with. She’s done blonde and dread locks before. Kirigo, however, says her viewers never get to see her mohawk on TV since she knows how to place herself strategically not to reveal the hairstyle which many might say is not ‘news reader appropriate’. Kirigo says she cooks the best of meals when her mood’s compass is pointing south. On her favourite meal, Kirigo said she doesn’t have a particular one since she eats the same meal every other day – brown rice, protein and vegetables. The easy TV anchor says her sense of style has no name, but prioritises decency. “I don’t have a standard style of dressing. I wouldn’t want to be confined in a box – that’s why I have a mohawk and wear what I want to wear. But every attire I put on, should be one that my family approves of,” she said. Kirigo Ng’arua has a word for those ladies who wear colourful innerwear under light tights, with tops which are not long enough to cover their bums. “I appreciate the men who have taken their time and effort of learning how to be in a relationship with women – without necessarily having to keep a side-chic. They are awesome!” she affirmed. Unlike most women who will pack up their things and leave a cheating man to languish in loneliness, Kirigo says she would actually forgive a first time cheater. Kirigo says she is still learning her role as a woman in a home setting, though she did not disclose if she is dating. The news anchor says when she marries, she would cook for her husband and family. Kirigo says the only thing she looks for in a man is a friend. According to Kirigo, a lot of complications originate from lack of friendships in relationships.